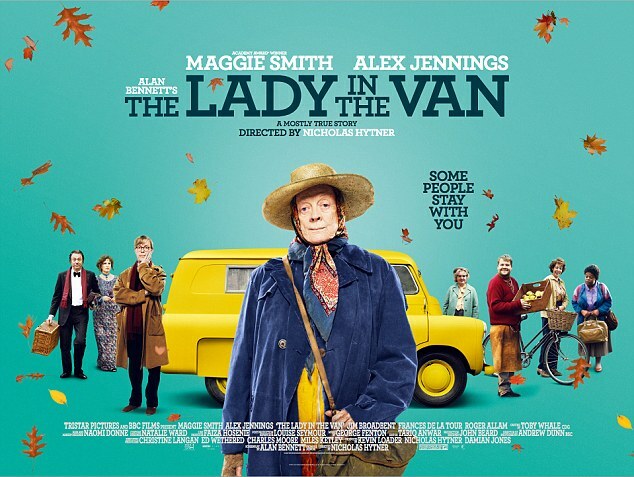 Much comment on this film has focussed on the lead performance of Maggie Smith. She has garnered nomination for Best Actress at both the Golden Globes and the BAFTAs, [though to be honest Charlotte Rampling’s in 45 Years is finer]. Smith characterisation in the film is a crowd pleasing and vastly entertaining act. It is also an interesting variation on her well-established persona. However the film actually offers two ‘national treasures’. This is another fine work from the pen of Alan Bennett. He not only is the shrewdest writer on the English culture but is also something of modernist. In this film we get the ‘actual’ Bennett and his own imagined double. The pair at the centre of this very funny but also occasionally moving film are equally well served by the production. Director Nicholas Hytner has marshalled his team with excellence. The music by George Fenton is judicious, the Cinematography by Andrew Dunn is fine, and the Film Editing by Tariq Anwar and Production Design by John Beard both serve this well. This is the type of film that British crafts do so well. Adapted from a successful stage original it also has a very good co-star in Alex Jennings and a fine supporting cast, with some delightful cameos.